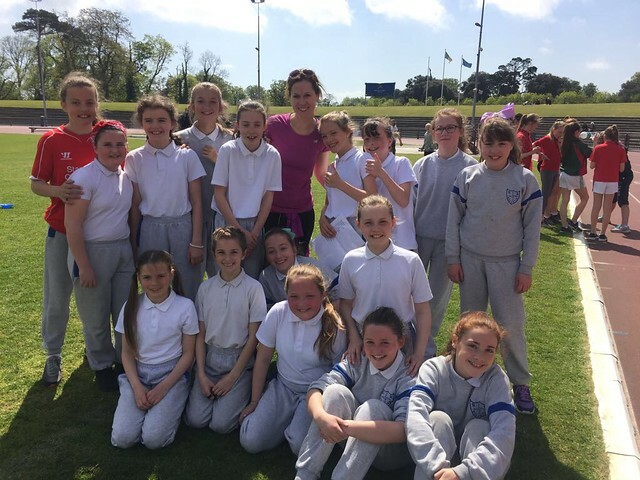 A group of 5th & 6th class girls travelled to Santry Stadium on Tuesday to compete in a local Athletics competition. The girls were super in their races taking home four out of a total of six medals on the day. Keeva D came 1st in both the 80m and 400m. Bree S came 3rd in the 80m and 2nd in the 400m. Super achievement girls! Thanks to Ms.Howard for preparing the girls for the day!